PURCHASE BY Nov. 20th for Holiday Gifting. FEATURED ART: "Medium Blue" and "New Moon" Colored pencil drawings from #aedm2016. 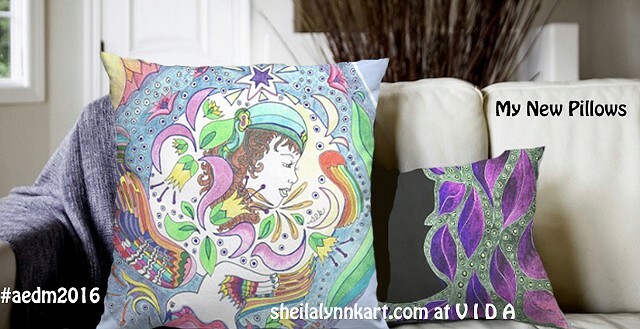 Each Pillow is Made in Turkey, with machine washable 100% Cotton fabric cover. The pillows arrive in a compressed bag and are delivered to your doorstep in approximately 3-4 weeks after purchase.